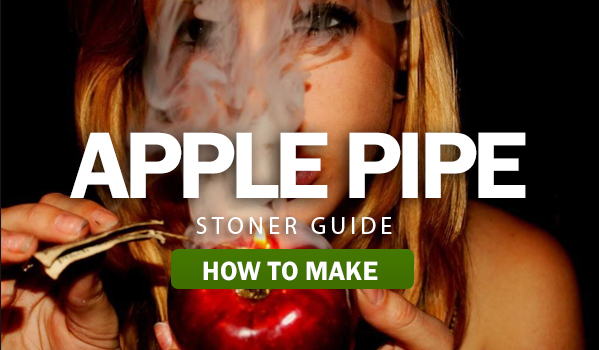 Here are simple instructions on making yourself an apple pipe just in case you find yourself with no pipe and a bag of kush. Make sure the apple you use is fresh. A soft apple could collapse while you’re trying to bore the holes. It’s ideal to use the type of ball-point pen with a tip you can unscrew so you can take out the ink well. Otherwise, you may spill ink all over the apple. Once you take out the ink well, screw the tip back on. Don’t use a pencil. It’s likely to break inside the apple while you’re trying to make a hole with it. 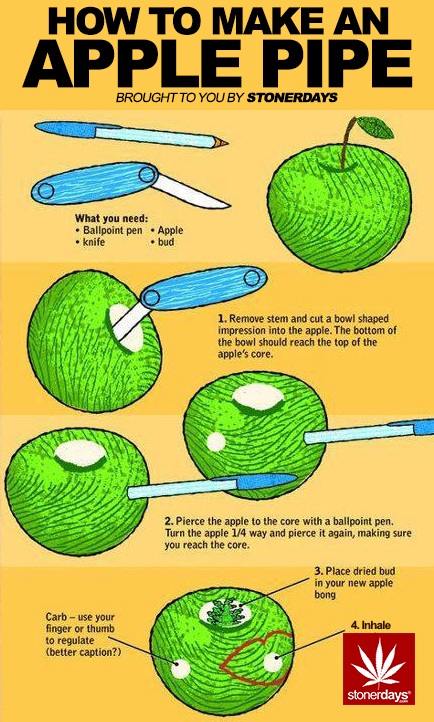 Start by removing the stem and cut a bowl shaped impression into the apple. The bottom of the bowl should reach the top of the apple’s core. Get an apple and a pen. 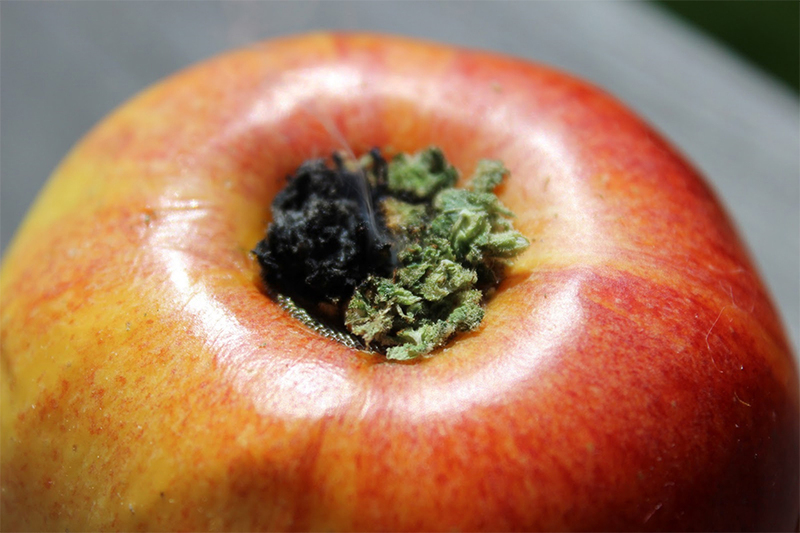 This pipe is considered “pure” because all you need to make it is an apple and stick-like device, such as a pen, with a tip sharp enough to poke a hole in the apple. Bore a hole through the top of the apple. Place the pointed tip over the hole where the stem used to be and jam the pen into the apple at a slight angle. Push it into the apple until you’ve made a hole that extends about halfway through the apple. Bore a second hole near the bottom of the apple. It should be about half an inch from the hole at the apple’s base. Insert the pen and poke a hole that meets up with the first hole you poked. This will be used as your carb. 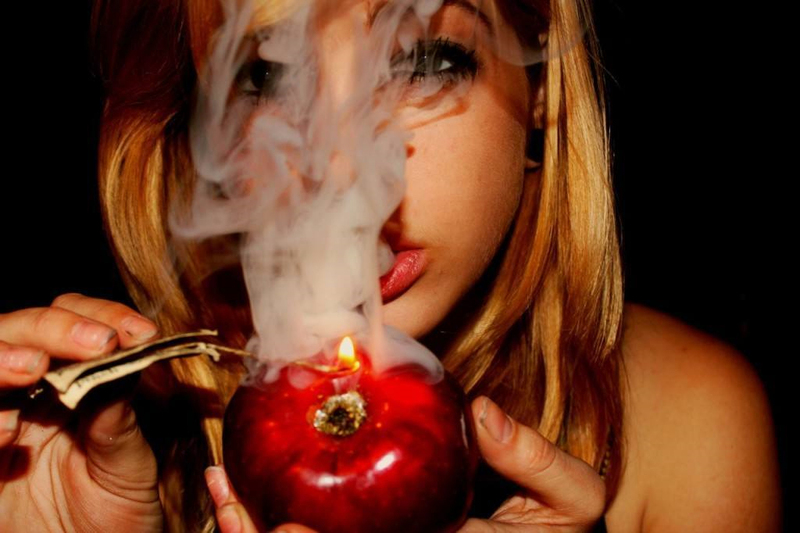 Place your kush on top of the apple and enjoy!